Hair care is not just important for women. 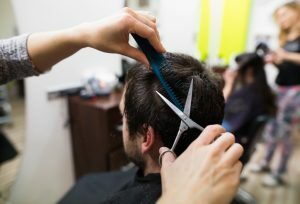 Just like men treasure their toys and cars, they should also work towards maintaining healthy hair and that goes beyond just getting a haircut. If you invest in taking good care of your hair, you will not just enhance your overall look, but you could also delay the onset of balding. Here are a few tips on how to ensure your hair as a man stays clean and healthy. Most men keep their hair short and they maintain basic hairstyles which means it’s easy for them to jump in the shower and wash their hair on a daily basis as they take a shower. Washing hair too much eliminates the natural oils from it coursing it to become coarse and dry. It’s advisable to wash hair at most twice a week and apply a conditioner each time you wash to give it a healthier appearance. Most men dry their hair all wrong which is one of the main causes of damaged hair. When the hair is wet, it becomes vulnerable to damage. Rubbing it with a towel can cause some of the hair to get tangled in the towel threads and ultimately lead to breaking and stretching, and damage at the cuticle. In addition, the hair develops a lot of split ends and becomes frizzy. The proper way to dry hair after washing is by first shaking off the excess water, before stroking in certain direction as opposed to rubbing using a towel. Although drying may take longer when you do it this way, it gets easier after several haircuts. 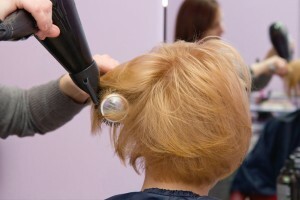 If the hair is longer, avoid blow drying all the time because that too can cause the scalp and hair to dry up. On the rare occasion you blow-dry, first apply a detangler or thermal spray to coat your hair so that it doesn’t get damaged from the blow dryer’s heat. While blow-drying, use a comb with wide teeth to prevent excess pulling. It might sound gross but raw eggs on your hair as conditioner works wonders. Eggs are rich in protein which leaves the hair looking healthy and shiny. Try and break an egg in your hair once a week. Massage the egg into the hair and add some shampoo before thoroughly rinsing everything off. Sometimes men also use relaxers to improve hair texture and make it more manageable. Using relaxers and coloring repeatedly will damage your hair leaving it dull and dry. It’s best to avoid the use of chemicals and instead use organic products or get advice from a professional stylist on the best products for your hair type. If you are in search of a good hair salon within the Clayton, North Carolina area then Clayton Hair Salon is your best bet. All the stylists and technicians working in the salon are independent contractors and can be reached through their individual pages. Come on down and let the friendly crew at Clayton Hair Salon get you fixed up! For a hair stylist in Clayton that can help you tame those curls, contact Clayton Hair Salon at 919-795-6742.